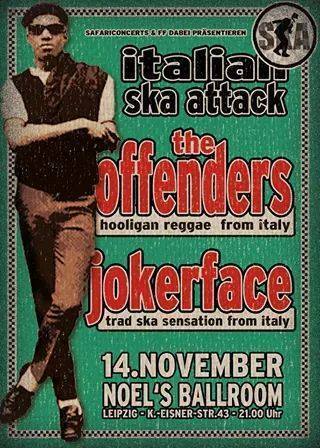 Only four days left until The Offenders will hit the stage at Noels Ballroom in Leipzig again! 08.11. GER / Rhauderfehn / Jugend- und Kulturzentrum Rhauderfehn e.V. 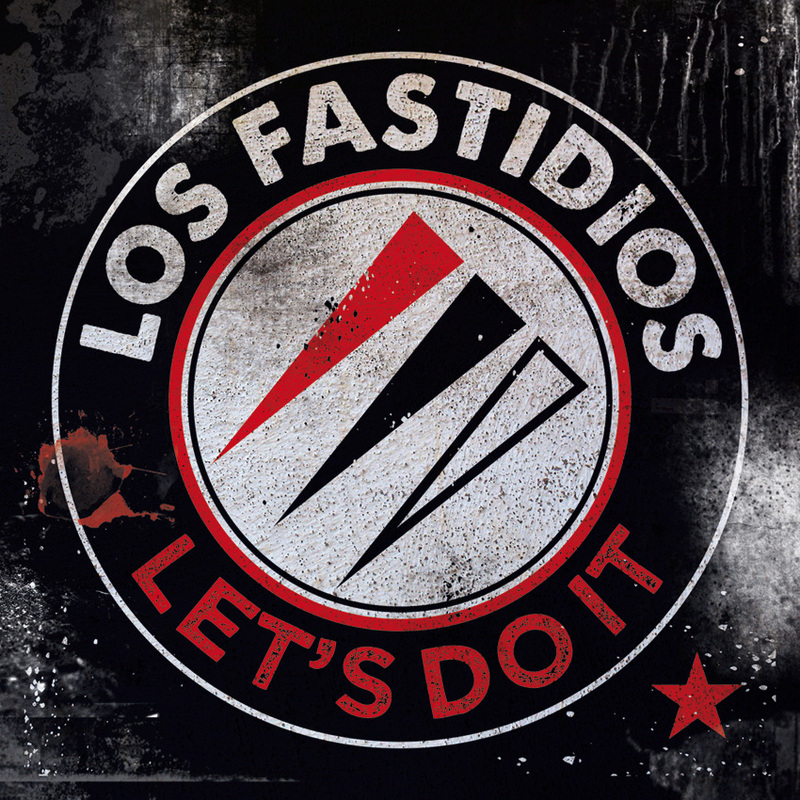 08.11.14 München / Da Wirtshauser "Thrash Inferno 8"
And finally we proudly present to you the new cover of Los Fastidios - officialpage's new record "Let's Do It" - klick here! 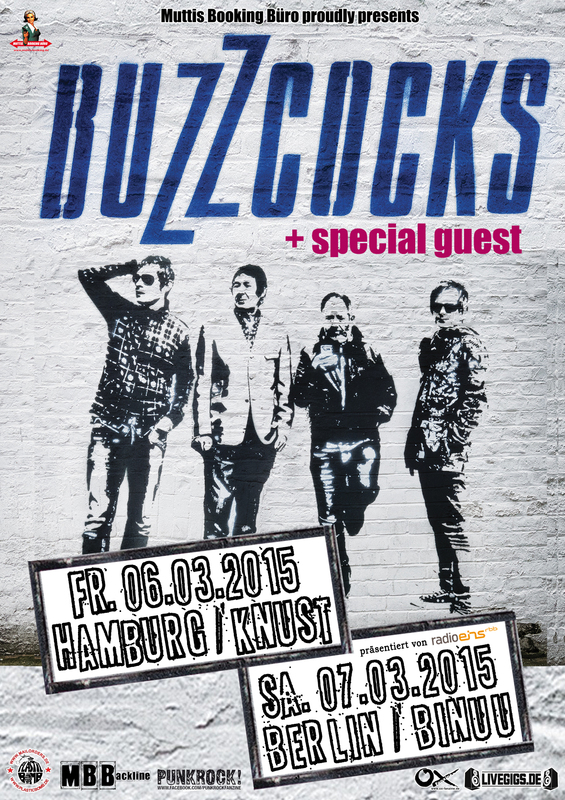 Let's start this week with a Buzzcocks - Video! Make sure to get you tickets in advance! Cheers! Have a nice week everybody. Thursday! And tomorrow is friday! -> The boys and girl of The Roughneck Riot driving around in their very cool van and play today at AJZ Weißenburg - 31.10 in munich at Kafe Kult! -> Also on october 31st! BONSAI KITTEN are going to hit the stage at the "Viva La Horror Festival" / Musiktheater BAD in hannover! -> Talco! In a couple of hours in Lleida @ La Boite (CAT). Tomorrow in Murcia at Garage Beat Club! "There are hardly any bands performing today that genuinely deserve the adjective ‘legendary’. 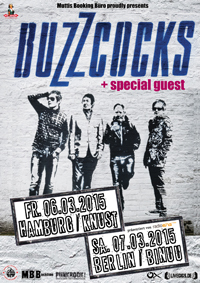 Buzzcocks are one of those very few." Tickets are available! Don't miss the chance. These two shows are the only ones in germany! Klick here to see the full flyer. We are happy to announce The Tips' newest video of "My Girlfriend's Mother Is A Cop"! We had a great time shooting a couple of scenes in berlin with the guys. Hopefully you enjoy the video as much as we do! in case you haven't notice - TV Smith and The Bored Teenagers are in town to play a best of The Adverts! 28.10.2014 POL / Wroclaw / Lykend // venue changed!!! TV Smith's new record "I DELETE" will released on october 31st! You can order it on www.tvsmith.com! Also his book "BOOK OF THE YEAR" is available on his website. A very good bundle, isn't it? Please enjoy his newest video "Replay" - the first song of "I Delete"